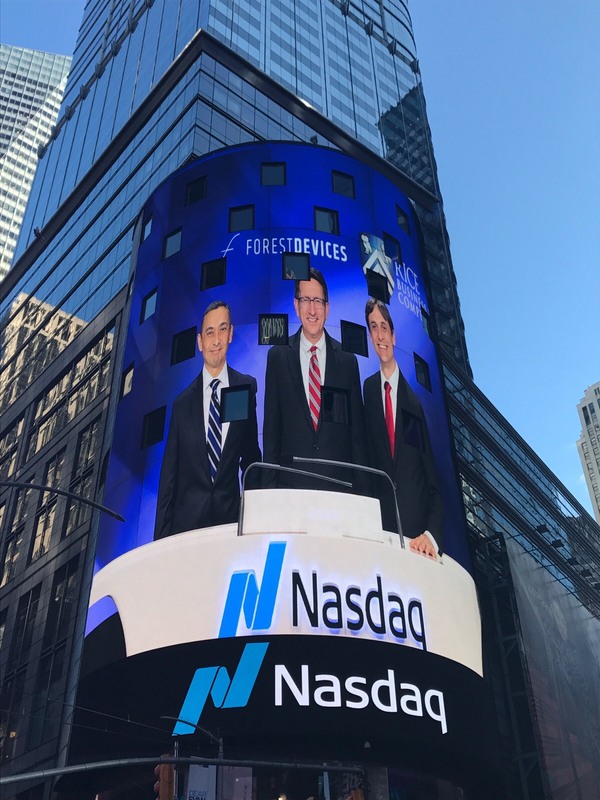 NEW YORK CITY - (October 10, 2017) Today the Forest Devices team had the immense privilege of ringing the NASDAQ closing bell. 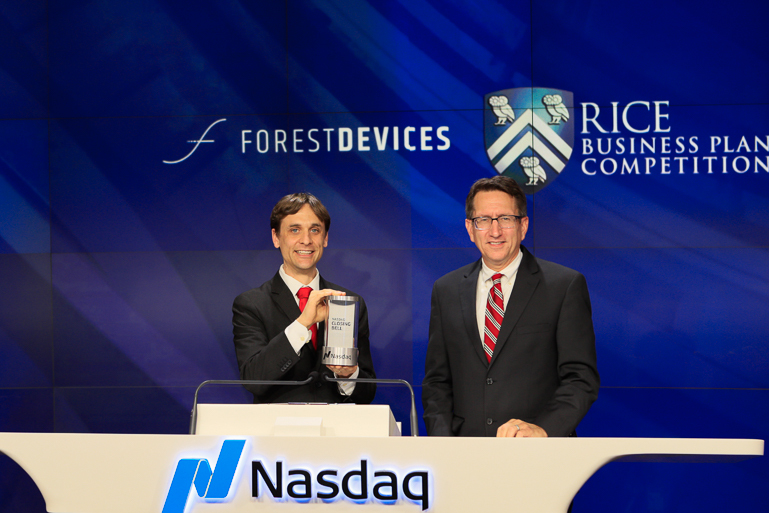 This opportunity comes on the heels of winning the Rice Business Pitch Competition this past April. "We are honored to win the Rice Business Plan Competition. 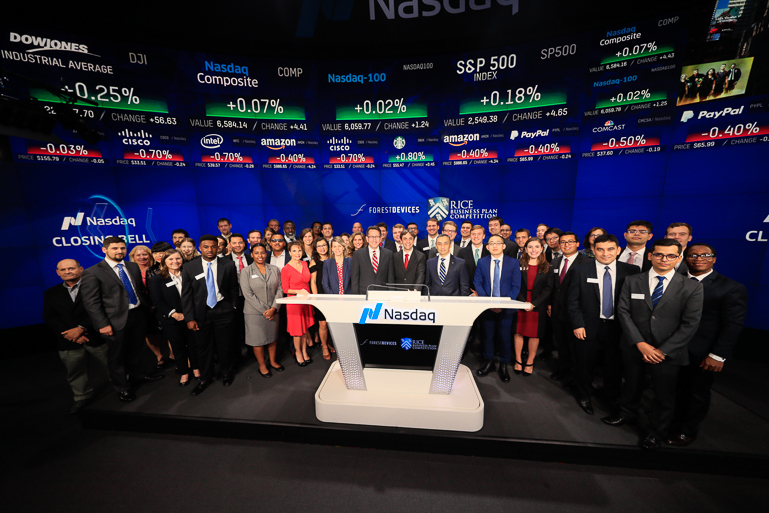 It has opened doors to new resources and relationships that have accelerated our progress, and ringing the Nasdaq bell is example of that. It is an extreme honor for me and my team and another opportunity that the Rice Business Plan Competition has provided us." - Matt Kesinger, CEO Forest Devices, Inc. 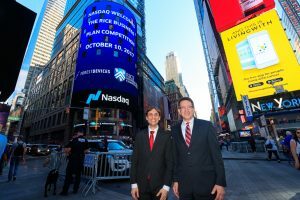 The Rice Business Plan Competition is the world’s richest and largest graduate-level student startup competition. 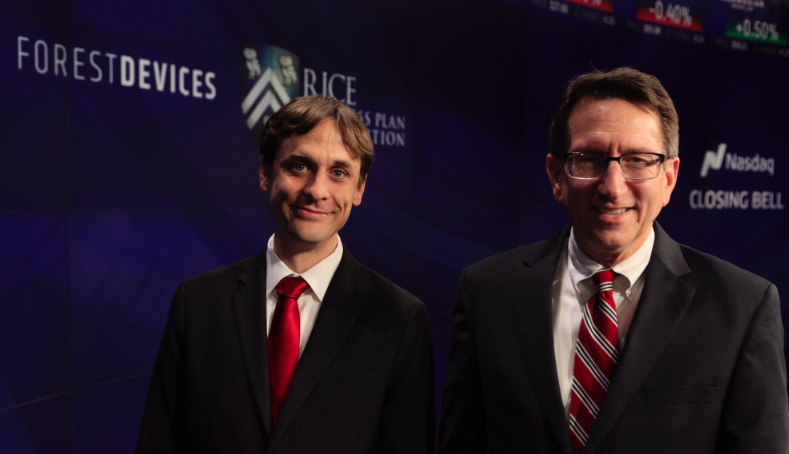 It is hosted by the Jones Graduate School of Business and the Rice Alliance. Since 2001 more than 200 companies have launched, are in business today or have successfully exited. Each year, the Rice Alliance visits the Nasdaq MarketSite in Times Square every year with the most recent winner of the Rice Business Plan Competition. 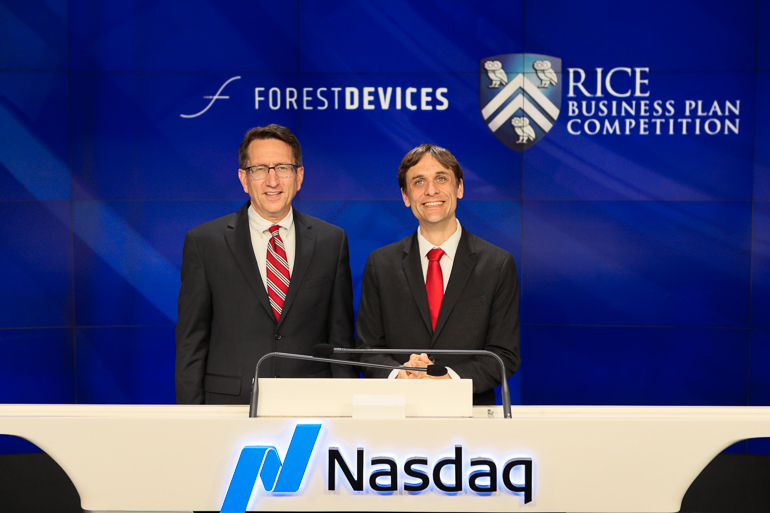 Forest Devices, Inc. won the competition back in April of 2017, and in honor of the occasion, Brad Burke, Managing Director, Rice Alliance for Technology and Entrepreneurship, and Matt Kesinger, CEO of the 2017 Rice Business Plan Competition, will ring the Closing Bell. The Rice Alliance for Technology and Entrepreneurship hosts the competition. 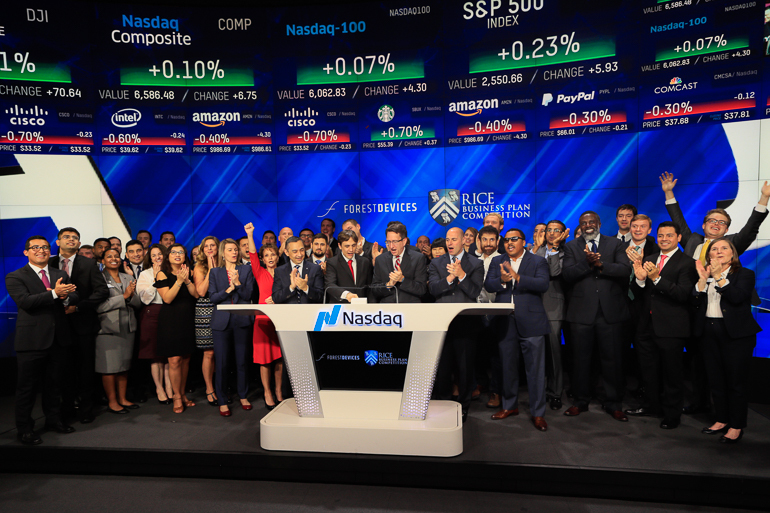 It is Rice University’s nationally recognized initiative devoted to the support of technology commercialization, entrepreneurship education and the launch of technology companies.